When you take an opportunity to explore one of Wichita’s 144 parks, you’ll find tons of hidden treasures that go way beyond the playground. Some offer free wildlife habitats, nature and hiking trails, unique kids activities, art and history experiences and other unexpected adventures. Below is a list of some of the hidden gems in Wichita parks, and where you can find them. 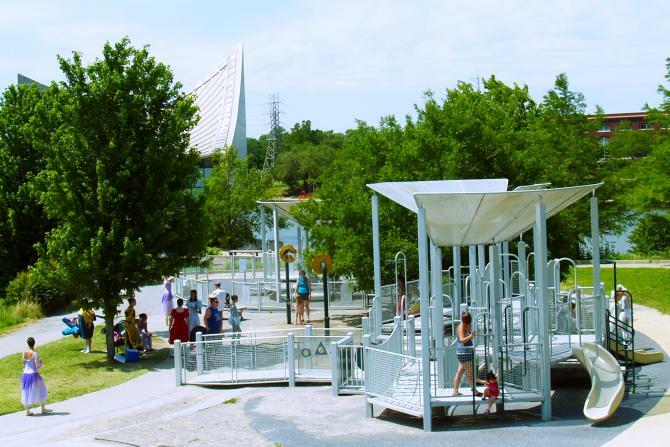 This park is named after a former Wichita mayor and showcases several bronze sculptures dating back to 1975. Housing the city’s only fully lit decorative fountain, this park is located near the Arkansas River near Douglas Avenue & Waco Street. Children will love the water playground and splash pad area (equipped with a buffalo head) that makes this park unique. Buffalo Park is located on the west side of town near Central Avenue & Maize Road. Perhaps one of the most popular parks in Wichita, Central Riverside Park is home to the Kansas Wildlife Exhibit, a free exhibit featuring more than 25 species of animals in eight enclosures. Visitors can see beavers, a red fox, a porcupine, mink, hawks, owls and various birds all native to Kansas. Riverside Park also houses gorgeous artwork and floating sculptures in the pond, bronze sculptures dating back to 1926, the Spanish-American War Memorial and a solar calendar known as Wichita’s “mini Stonehenge.” Visitors will also find interesting architecture in the form of a gazebo and pagoda, and Celebration Plaza, an interactive fountain/splash pad for a summer cool-down. The park is located near Central Avenue & Nims Street. Tucked between two downtown Wichita buildings is a quiet hideaway and beautifully artistic park called Chester I. Lewis Reflection Square Park. This project sits on the site of the former Woolworth building, and is home to several bronze sculptures, including one commemorating the 1958 anti-segregation sit-in at Dockum Drug Store’s counter. This park is often the site of local music acts during Final Friday. The park is located on Douglas Avenue between Market and Broadway Streets. This park is home to the free Great Plains Nature Center and a natural habitat for many Kansas species. It includes a wetlands area, natural prairie grasses and 2-mile walking path full of various metal sculptures. It’s one of a dozen Wichita parks to be designated as Wichita Wild Habitat Areas. The park and nature center are located at East 29th Street North and Woodlawn Boulevard, just south of K-96. This neighborhood park has been around since 1925 and includes one of Wichita’s community pools. Each summer, patrons and their dogs are allowed to dive in during the Dog Days of Summer, making this park super pet-friendly. The park is located near Douglas Avenue & Clifton Street. Delano Park is located at McLean Boulevard and the Douglas Street Bridge, and houses a lot of history in less than 1 acre of land. With a beautifully decorative fountain built in 1934 and a bull sculpture made from chrome-plated car bumpers by artist John Kearney, the park highlights Delano’s role on the Chisholm Trail. This large park that stretches from 29th & Hillside Streets to I-135 includes some pretty neat playground equipment, like a covered wagon and huge buffalo. This nearly 126-acre park has tons of walking paths, modern equipment and meeting space. Equipped with a full recreation center and the Ryan Woodward Memorial Skatepark, this 25-acre park is one of the few places skaters of all experiences can go to practice their jumps and tricks. It is located at Edgemoor & 9th streets. Exploration Park is an extension of Wichita’s Exploration Place science museum, located along the Arkansas River. Visitors can hang out and observe Kansas Wildlife in the rain garden, play in a giant sandbox, on a jungle gym and enjoy walking trails. While you’re there – go on the hunt for the elusive Troll, hiding somewhere near the Keeper of the Plains. The water playground at Fairmount Park provides a welcome relief from the hot summer sun. 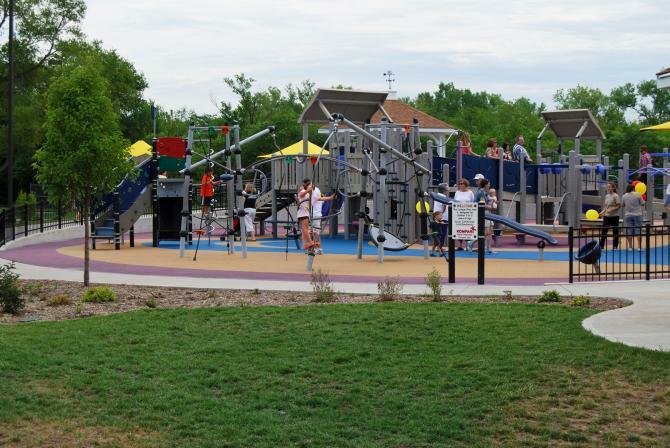 This medium-sized park sits near Wichita State University at 16th & Vassar streets. The Arkansas River Path runs through Garvey Park, located off Washington Street. It also houses a canoe launch into the river and a community garden with 10-ft. by 20-ft. plots available each season for $20. Hidden behind the Wichita-Sedgwick Co. Historical Museum at William and Main streets, this local park is home to a beautiful fountain and unique bronze sculpture artwork. The gazebo is often a location for local bands to perform in the spring and summers, making this urban park a hidden gem in the middle of downtown Wichita. Wichita is a city of makers and some brilliant space-creators have made a unique urban park in the heart of the city. 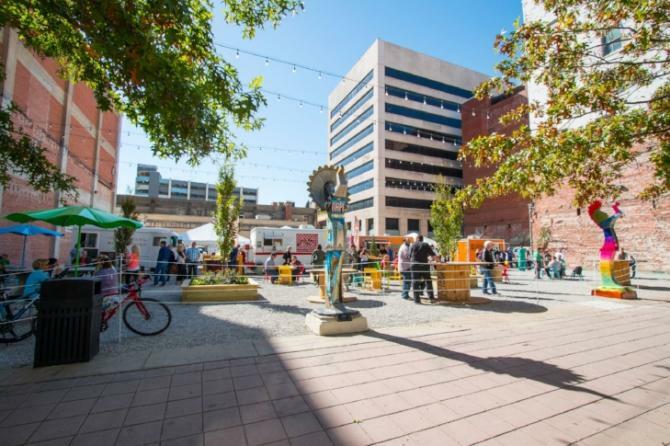 The ICT Pop-Up Urban Park is a brainchild of Downtown Wichita through a grant from the Knight Foundation Fund at the Wichita Community Foundation to turn an eyesore abandoned lot into something vibrant and fun. This park is home to food trucks over the lunch hour, seating areas, a chalk wall, table tennis and open-air fun. The ICT Pop-Up Urban Park sits between two buildings near Douglas Avenue & Main Street. Naftzger Park is currently under construction. The project is bringing updates to the mini-park found at Douglas Avenue & Emporia Street in downtown Wichita. This urban park has a beautiful gazebo and waterfall, and is home to the Carry A. Nation Fountain built in 1918 by the Woman’s Christian Temperance of Kansas. Plans for the park include a dog run, gardens and an open space for events. There are many hidden gems in this Wichita park. 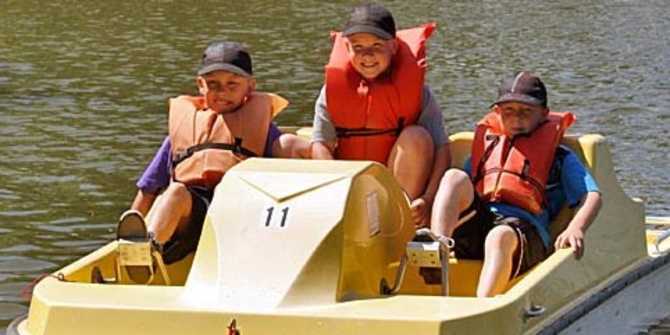 Kids will love the miniature train ride, inflatables, pony rides, mini-golf, pedal boats, hayrack rides, playgrounds and fishing grounds. This 119-acre park is located off McLean Boulevard and 31st Street South. Orchard Park has several features including a community pool and skatepark, but one of the most unique hidden gems lies in the baseball field. Miracle Field at Orchard Park is designed for kids and adults with disabilities, and is the first field of its kind in the state of Kansas. Designated as the largest of Wichita’s 12 Wild Habitat Areas, Pawnee Prairie Park is the only park in the city to allow horseback riding on its trails. Equipped with a beautiful equestrian bridge, a 5-mile marked trail and many unmarked trails, it makes for one of the most popular experiences in the city. Sedgwick County Park is one of Wichita’s most popular parks and home to the Great Plain Renaissance & Scottish Festival twice a year. This 645-acre park on the west side of Wichita includes a boundless playground, tons of walking and biking trails and five fishing ponds. The Sunrise Boundless Playground is a 27,000-square-foot barrier-free playground. Its main feature is the fact that more than 70 percent of the playground equipment can be used by people of all ages regardless of their health or physical limitations. Even locals may not realize how incredible this hidden gem is in the middle of downtown. 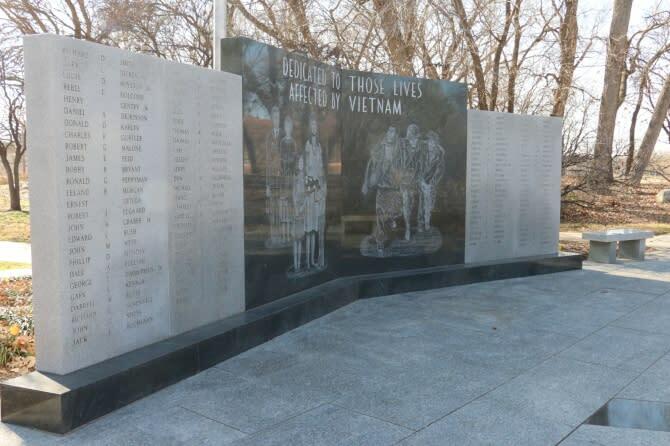 Wichita’s Veterans Memorial Park is home to 18 memorials in a 4.5-acre plot of land next to the Arkansas River. It is also one of only three parks in the United States with a memorial commemorating the Berlin Airlift, which will be dedicated in September 2019. This park represents six wars and every branch of the military, including Union and Confederate soldiers. Learn more about the 144 parks Wichita has to offer by exploring our parks, hikes & bike paths page.